Two freight trains collided during engineering work on the track near Cumnock in Ayrshire, Network Rail has said. No-one was injured in the incident which took place at about 11:20 on Saturday but a number of wagons derailed and the track was damaged. 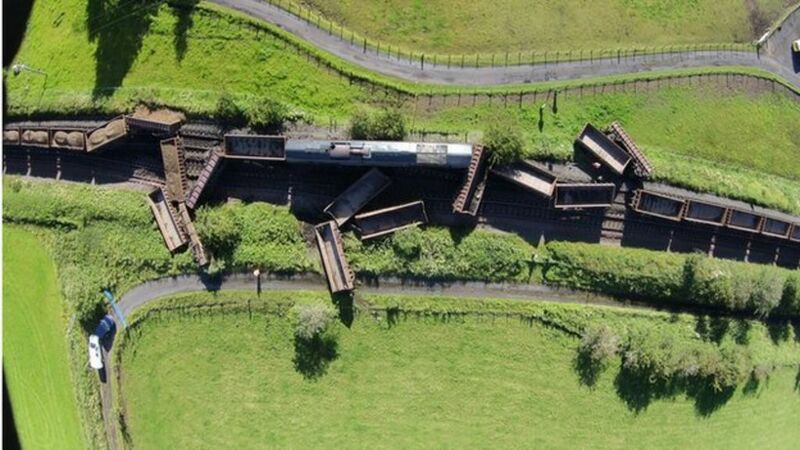 Two trains carrying ballast collide during engineering work on the line near Cumnock in Ayrshire.